Did you know that, according to the United States Environmental Protection Agency (EPA), Americans spend approximately 90 percent of their time indoors? Furthermore, concentrations of some pollutants are often 2 to 5 times higher indoors than outdoors, and the indoor concentrations of some pollutants have gone up in recent years. That increase is due to more energy-efficient building construction, which does not have enough ventilation to ensure appropriate air exchange, and the increase in the use of synthetic building materials, furnishings, and other products. In our State of Florida, given the hot, long summer, we probably spend even more time indoors than the average American. If that is the case, then we really need to do what we can to make sure that the air quality in our homes is as good as it can be. That is important not only for our own health, but for the health of our loved ones. The good news – we can do something about it ourselves. 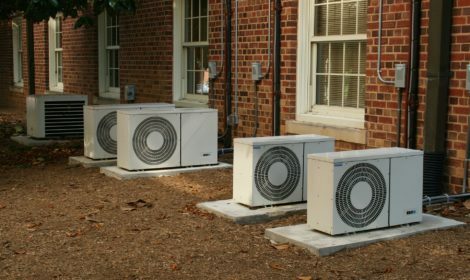 Beyond ensuring we have a reliable AC repair service in West Palm Beach, like Aztil Air Conditioning, available, it is always a good thing to be able to take matters into our own hands to improve our indoor air quality. This blog will take you through 4 top ways in which you can immediately improve your indoor air quality. That said, if you need to discuss your personal AC circumstances with a professional, do not hesitate to contact us at Aztil Air Conditioning. We are the top AC repair shop in West Palm Beach, FL. Call us today at 888-729-8452.
Who knew? Plants are not only decorative, bringing color and life into your home, but great for indoor air quality. As you can remember from 4th grade science, plants breathe. They take in carbon dioxide and exhale oxygen. Since we and our pets breathe in oxygen and breathe out carbon dioxide, you are able to create a symbiotic relationship in your household. So, a houseplant is not just for good looks anymore, they can also filter the air inside your home. English Ivy. NASA scientists have actually rated the English Ivy as the best houseplant for filtering air. Rubber Tree. Thriving in poor lighting and requiring minimal care, the rubber tree can efficiently remove toxins from the air. Bamboo Plant. Another plant on NASA’s list of air purifying plants, the bamboo plant removes benzene and trichloroethylene from the air. Two great, easy ways to immediately improve air quality in your home are to crack the windows and clean the floors. Those are so simple and so effective. Why crack the windows? Many homes, particularly newer construction, do not breath well. Accordingly, you may be left re-circulating the same air many times over, which contains the same pollutants. Letting a little fresh air into your home can change that equation. Why would cleaning the floors help? All the not-so-pleasant particles that are on your floor will eventually get kicked up and fly into the air. So, regularly mopping and vacuuming can do wonders for air quality. No top 4 air quality list would be complete without talking about air filters. The front-line of defense against bad air quality in your home is your HVAC system’s air filter. Typically, the entire air volume in your home passes through your HVAC filter multiple times every day. A clean filter will remove dust and invisible particles from the air. 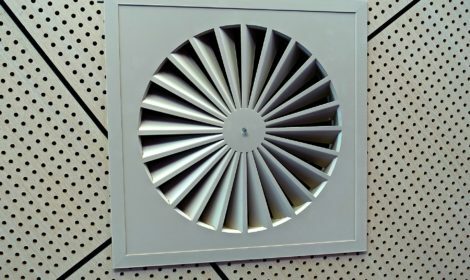 A dirty filter, by contrast, may decrease the quality of your air by holding all the dirt and dust that is then re-circulated back into the air in your home. What to do? Change your filters regularly – once every one to three months. Also, use higher quality air filters. Don’t be pennywise and pound-foolish. Spend a little more to vastly improve the air quality in your home. 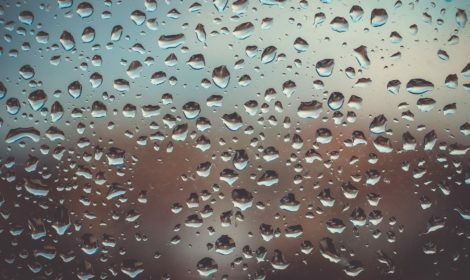 The EPA recommends indoor humidity should be between 30 percent and 60 percent. The higher the humidity indoors, the harder it is to maintain good air quality because mold and bacteria thrive in humid air. So, take advantage of a dehumidifier and/or exhaust fans in your home to keep the humidity at bay. At Aztil, air conditioning is not just what we do for a living, it’s what we live to do! We cater to YOU with unlimited service calls and no extra charge on holidays, weekends, or after hours. We pride ourselves at being the best, and fastest, in the industry. Because not only is Aztil family owned and operated, but we consider our customers to be part of the family. Don’t forget, Aztil Air Conditioning offers 12-month financing, same as cash. That means that if you are approved we get the unit in the next, if not the same, day. Remember, if you want to be cool, there’s no other team to be with. Since 1981, Aztil has been dedicated to serving South Florida. From Sebastian to Miami we have strived to provide quick, affordable, and professional service to our valued customers. We are family owned and operated, and can guarantee that you will be able to speak to a family member any time you call. The Aztil team is comprised of over 100 proud employees, each highly trained and skilled in their fields. All of our employees are carefully selected and completely screened to meet our high standards of excellence. Further, the Aztil family has provided three generations of expert services and knows what our customers’ needs and expectations are. Our motto is “To Keep Florida Cool,” and we will do anything to keep you cool 24 hours a day. Your comfort is our mission, and we are the elite team for the job. We are Aztil Air Conditioning at 888-729-8452, and we are ready to answer any questions you have. Set up a meeting with one of our AC repair specialists in West Palm Beach, FL today by calling or filling out our online contact form. Eddie, the A/C tech did a great job in fixing our A/C problem today, Eddie was everything you would want a service technician to be, in your home. This is the second time I have brought this particular problem to the attention of Aztil. This time it appears to be fixed. This company is amazing!! Always at the house within a few hours and problem fixed! Eddie was fantastic! Friendly, professional and quick service! Lou has a great company. They all work with you and have real pros with real expertise. Thanks! It's 9:20 friday night 2 guys working their tails off installing new a/c unit. Im sure they woukd rather be somewhere else. Hope Aztil recognizes these two for hard work and dedication. On 11/8/16 our air Conditioner was serviced under invoice. #141990. Edward was the tech , service was excellent. On 12/22/16 our dryer was serviced under invoice #32314 by Jack. Parts were ordered, and he is very professional. My technician was Brian. He was very professional and knowledgeable. He arrived within the time frame they gave me. I was very pleased with their work and will use their services in the future. One more thing- Brian was a super nice guy and a credit to Aztil. Paul G. Is an excellent representative for your company. Anyone fortunate enough to have him in their employ is indeed lucky. He explained to this elderly couple in clear and simple terms how everything worked. Actually we would recommend him to all our friends and neighbours who need their air conditioning needs attended too. Aztil Air conditioning is Extremely Professional an has Amazing customer service. The office staff is very polite, the Technicians are extremely knowledgeable. They are the best Ac company in South Florida. I see There Trucks Everywhere. No wonder they are the Largest Air conditioning company in South Florida. You guys Are Awesome. Keep up the Amazing service. The technition Lazario was wonderful. It was for an air conditioning tune up and he was very professional and did an excellent job. The only negative was that he was late but I was told they had a lot of emergencies. I would recommend this company. Wonderful Manny is the best best service in town friendly fast and reliable!!!!! Always have great service from Aztil AC. Highly recommend their services. Aztil is an Amazing group of people and I was very proud of them. They are always going above and beyond. It was really wonderful what they did for the children. How Does Central Air Conditioning Really Work?